With the weather warming up (intermittently) many vacations are being planned. If you are scheduling a get-away, there are many considerations before packing up Fido for the trip. Is your pet adaptable and healthy? Does your pet enjoy time in the car? Will your trip allow you to spend time with your pet or will he be left in the hotel or in your vehicle? Weigh out the pros and cons and if you decide to leave your pet at home – do not feel guilty. There are many wonderful alternatives for just this situation. If friends and family are not able to accommodate, pet sitters are available for house/pet sitting or pet visits while you are away. Boarding kennels are another option as well. Either way, it is best to call in advance for availability. Your veterinarian and other pet owners are both good sources for recommendations. Consult your veterinarian to ensure that your pet is current on immunization – kennel cough vaccination is generally required by boarding facilities. Proof of vaccination and an ample supply of any prescription medication should be obtained prior to travel. If Fido is travelling with you, additional immunization may be needed for the area you will be visiting. There may be other health precautions to consider, eg. ticks and possibly Lyme Disease or other tick-borne diseases. Travel to certain countries (not the US) requires a health certificate from your veterinarian. Others even quarantine animals. It is best to check with your travel agent or appropriate embassy. So how will you be reaching your destination? 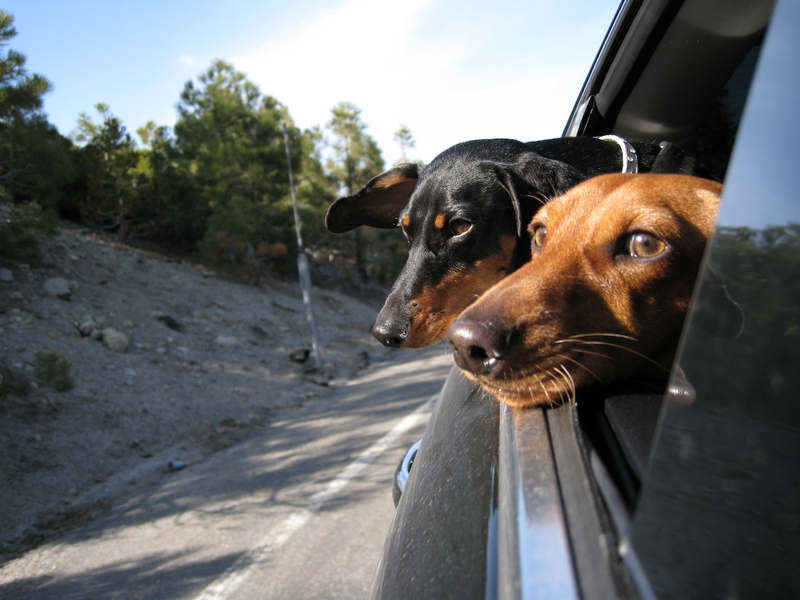 If you are travelling by car, please be sure that travel will be safe for you and your pet. A carrier is ideal for small pets, seat belt harnesses are available for larger pets or gates for SUVs and vans. Remember that temperatures in your car can become extremely high even with windows ajar (I toasted a loaf of bread a few weeks ago on my back dash by mistake – let’s be more careful with your beloved pet). If you are travelling by plane – make sure you have an airline-approved carrier. Some airlines allow smaller pets to accompany you, larger pets travel in the cargo area. Especially for pets travelling in cargo, properly label the carrier, including emergency contact numbers in case you become separated during travel. If you are staying with friends and family, be certain your pet will be a welcome visitor. Consider your pet’s personality (reaction to other pets and children) and the possibility of allergies to pets. If you are hotelling or camping, plan ahead and be sure your pet is allowed. Many places now accept pets, but may have limited spaces available. A deposit may be required as well. Be sure to take along your pet’s usual food (this is not a good time to risk a diet change) and lots of water. Familiar objects (dishes, toys) can help to greatly reduce travel stress. Identification tags are very important in case of accidental separation. Tags with home numbers are of little value while you are on vacation. A microchip is ideal. Wishing you safe and happy travels! !